We have put together information to help you in getting your child dry at night. We suggest that they have a check up from their general practitioner, (doctor) to ensure there are no medical conditions prior to treatment. Most children will become dry however some may continue to have this problem. It is important to have a practitioner who can help you through the process as there are a range of treatments that can help your child. Bed wetting, also referred to as Nocturnal Enuresis is a common issue in many Australian households which affects children of all ages. This problem entails children who lack night-time bladder control, at an age which control is expected (between the ages of 5-19). Between 10% -20% of children around the age of five-years-old wet the bed at night. A child’s bladder is much different to that of an adult’s. A child has much less control over their bladder, and this can be frustrating for both parents and children. It is important that parents understand that children, mostly under the age of 6, have limited control over their bladder, and cannot begin a stream of urine unless their bladders are full. As children get older, they are normally expected to grow out of this problem, however this isn’t always the case. 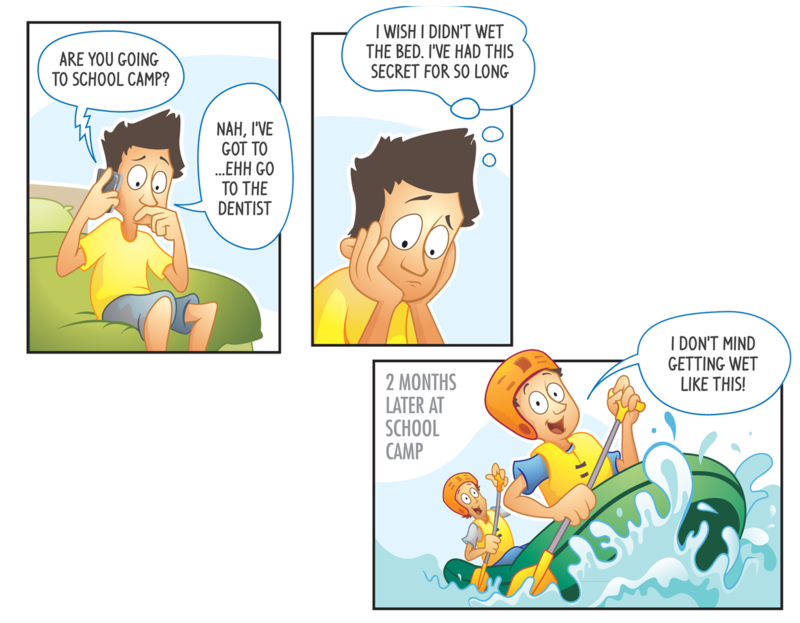 Reassure your child that bedwetting is normal and will stop in time. Explain the reasons why they are wetting the bed. Give your child as much encouragement, especially after accidents. Establish a routine of taking your child to the toilet before bedtime. Avoid criticising or punishing your child as bed wetting is an unconscious problem. Implementing these factors with your children can help them better understand that they aren’t alone and it is a common issue. It is important to discuss the factors of bed wetting, as it can cause a child to loose self esteem, or lack confidence. Ramsey Coote Instruments have developed a device which has been proven to have a high success rate with helping to treat bedwetting in children. The bell-and-pad treatment is developed from a concept of a physiological link between the act of bed wetting, and an alarm system which triggers as a response to wetting. Practitioners across Australia have used this effective treatment for many years, and it is the benchmarked technique due to its high level of success. Practitioners will coach the children and support the parents throughout the program to ensure the most successful outcome, and to minimize the chances of relapse. Why use a Ramsey Coote Alarm? The alarm has been designed to ring at a high frequency, which will help arouse the sleep child once the bed-pad has been wet, simultaneously a light in the alarm will switch on. The aim is to get the child awake as soon as possible and get them to switch the alarm off. In one of our newer models there is a counter that starts once the alarm has been set off and it will time how quickly the child takes to switch it off. This can help the child show that they are improving as the time to respond decreases with time. What is dry for a child? It takes three stages to achieve dryness- initial assessment, use of alarm and bed-pad then over learning to prevent relapse. It is important that prior to treatment that children have a medical check up to ensure that they have no other medical condition. Loud bell to arouse the child and lamp to show where the alarm ‘off’ switch is located. You can assess progress, as you will see the size of the wet patches on the large bed-pad or for the PB model a counter will show how long it takes for the child to respond to the alarm. A good practitioner will help coach you and your child in helping them become dry. If you wish to learn who can help your child become dry at night please contact us and provide your postcode so we can give you a list of practitioners who can help in your local area.